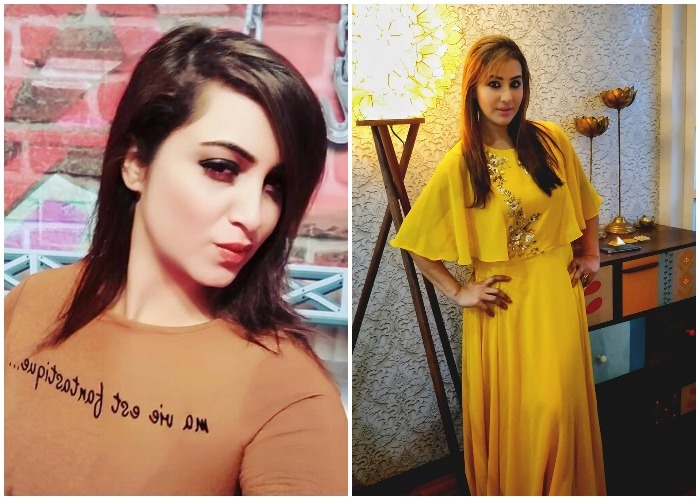 Arshi Khan and Shilpa Shinde's war of words is far from over. Shilpa Shinde and Arshi Khan who were close friends inside the Bigg Boss 11 house, have now turned foe. When Arshi invited Shilpa Shinde for her party, the latter chose to give it a miss. Ever since then, Arshi Khan has been spurting venom against the BB11 winner on her Twitter account. It started with Arshi slamming Shilpa Shinde for her not attending the party. And then the slamming session never stopped. Time and again, Arshi wrote about Shilpa Shinde and mostly negative. Arshi Khan, in an interview to media, spread the rumours that Shilpa Shinde didn’t want to get married at all. Shilpa Shinde, on learning this, slammed Arshi for spreading lies about her. The latter was no less, she further said that Shilpa knows well how to play the victim card. Shilpa Shinde and Arshi Khan had a cordial relationship in the beginning of the Bigg Boss 11. But their friendship turned sour and Shilpa grew close to Bandgi Kalra and Puneesh Sharma. Arshi even used to call her ‘Shilmaa’ fondly but their relationship went topsy turvy post their fight.